After decades of sprawl, Memphis begins to reconsider its growth pattern and chart a new course towards fiscal sustainability. Memphis shares a similar story with sprawling Sun-Belt cousins such as Atlanta, Charlotte, Jacksonville and Nashville. For decades, municipal borders grew as neighboring communities were annexed into Memphis as a way to capture much-needed property tax revenues and ‘grow’ the population base. Between 1960 and 2010, annexation grew the City’s footprint by 240%. As the City’s borders grew, density took a back seat as the population per square mile dropped by 53%. 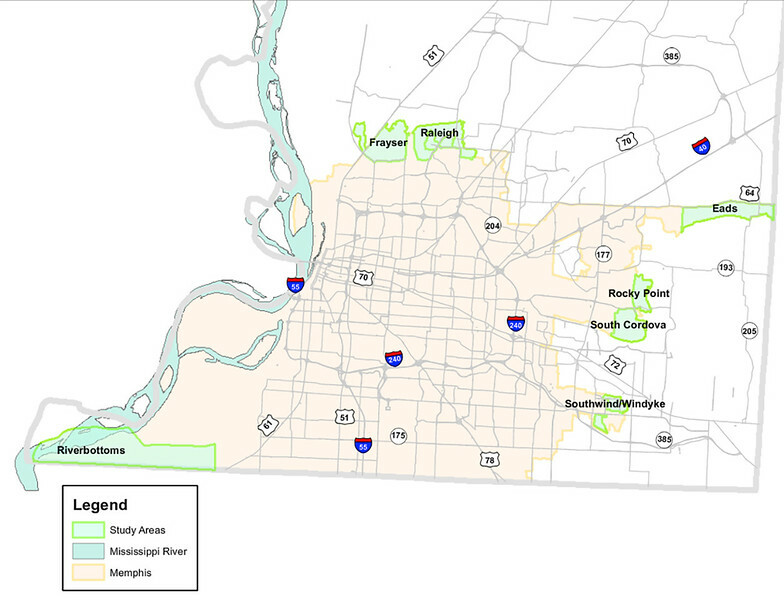 Now, a task force has taken a data-driven approach to reconsidering Memphis’ sprawling footprint and is recommending that the City de-annex several neighborhoods it had previously swallowed up under past attempts to grow. Since 1998, the City was particularly keen on adding land. 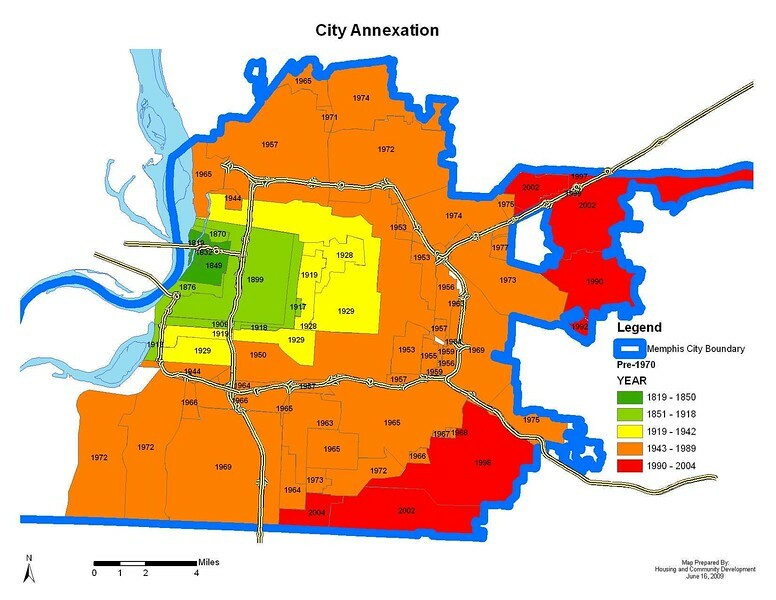 During this time the Memphis City Council approved 15 annexations, pictured below, which added approximately 111,228 residents. 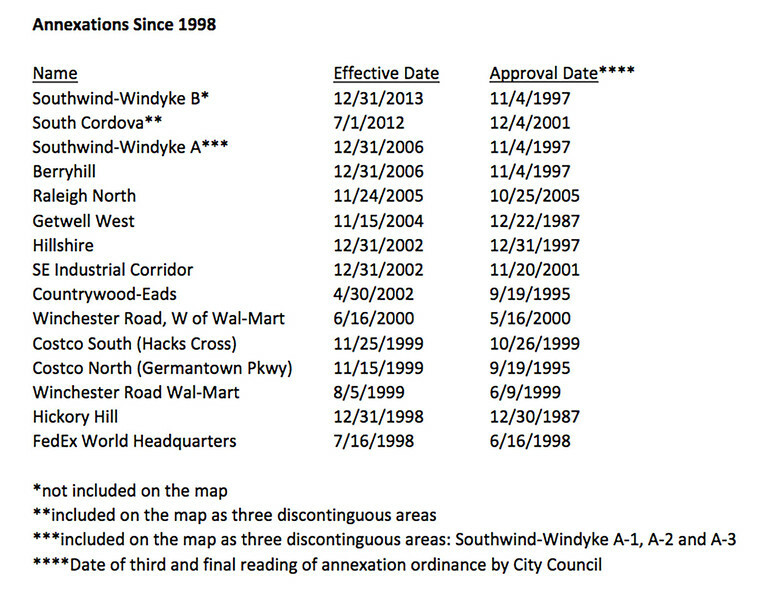 Neighborhoods like South Cordova and Southwind-Windyke have long despised these annexations, complaining that their property taxes were absorbed into Memphis’ general budget while services related to infrastructure have largely been neglected by their new municipal providers. Spurred by a narrowly defeated attempt by Tennessee state lawmakers to enact legislation that allows residents of areas annexed since 1998 the ability to petition for referendums to de-annex themselves, Memphis formed a task force tasked with examining when and where de-annexation makes sense. In essence, Memphis is looking to slowly de-sprawl itself. If their recommendations on de-annexation are approved, such actions would not be enacted until 2021, after the next municipal election. Memphis’ sprawling landscape happened over several decades, so it would be reasonable not to expect the unfurling of these corrections to happen overnight. The timing of the task force also coincides with the formation of Memphis 3.0, the city’s first comprehensive strategic plan since 1981. If all goes according to schedule, Memphis 3.0 would be voted into law in 2019- the same year Memphis celebrates its 200th birthday. The population of Memphis would have shrunk since the end of World War II if not for the costly and often unpopular annexations that are now being considered for reversal. The non-organic nature of this growth scheme, coupled with decreases in avg per capita income within these new city limits, has meant that less tax revenue is available to pay the costs of running a city whose footprint (and per-capita expenses) has ballooned to unsustainable levels. With Memphis 3.0, the City is looking to form a neighborhood-based comp plan. 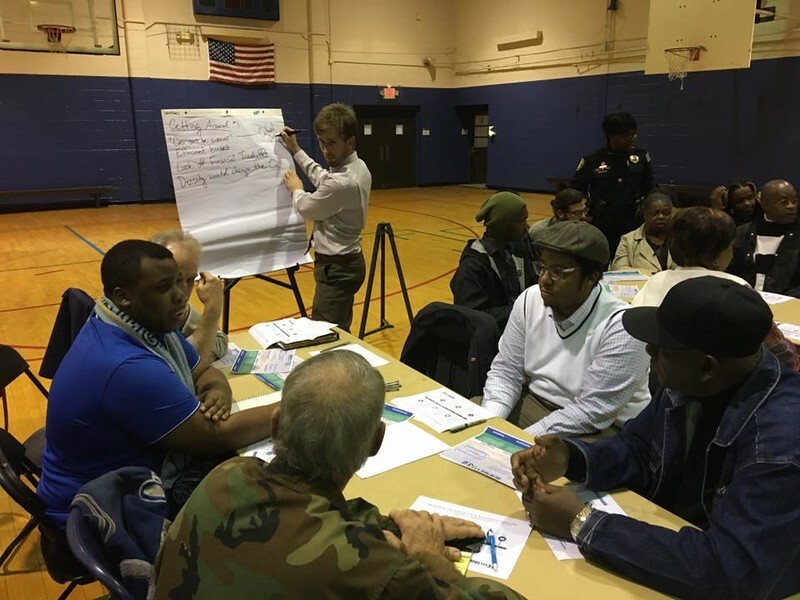 Sought to be a two-year long, community-driven process, City officials are already knee-deep in various outreach efforts to gather input from citizens across the city. The ethos of this process is to discover how to build neighborhoods where people want to live, and craft city policies and direct municipal expenditures towards creating these kinds of neighborhoods. This bottom-up approach that focuses on creating stronger neighborhoods perfectly aligns with efforts to right-size the city’s footprint. Memphis is seeking to encourage incremental growth from within by creating valuable neighborhoods, instead of realizing short term cash infusions by constantly growing city borders and encumbering unsustainable long-term liabilities in the process.